Earlier this month I returned to New Orleans, one of my favorite cities. 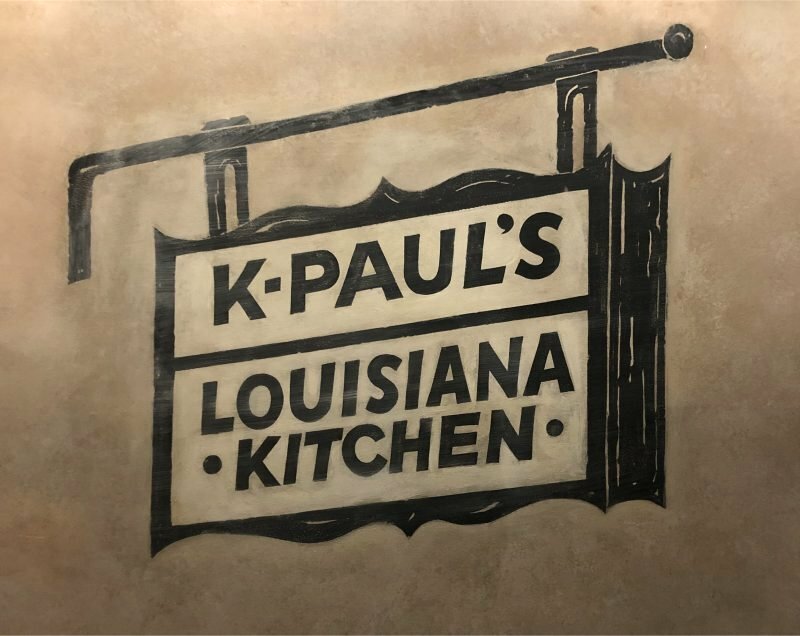 The holiday gave me a chance to revisit some wonderful restaurants, starting on the first night with dinner at K-Paul’s Louisiana Kitchen in the French Quarter. And so for the 49th dinner interview, Tom and I went elsewhere. But I’m not on the ban list, and so I happily walked back through K-Paul’s doors on my latest holiday. This will be a fairly brief write-up because I only took pictures of the food I ordered. But my friends and I chose a lot of items on the menu, and there wasn’t a single dud. I try to always swing by K-Paul’s on visits to the Crescent City because it’s a warm, welcoming venue and the friendly staff serve food that’s always done well. It’s never as busy as some of the other decades-old options such as Galatoire’s or Antoine’s, but I think that works to the restaurant’s favor. Reservations are relatively easy to get, and you never feel rushed while dining. 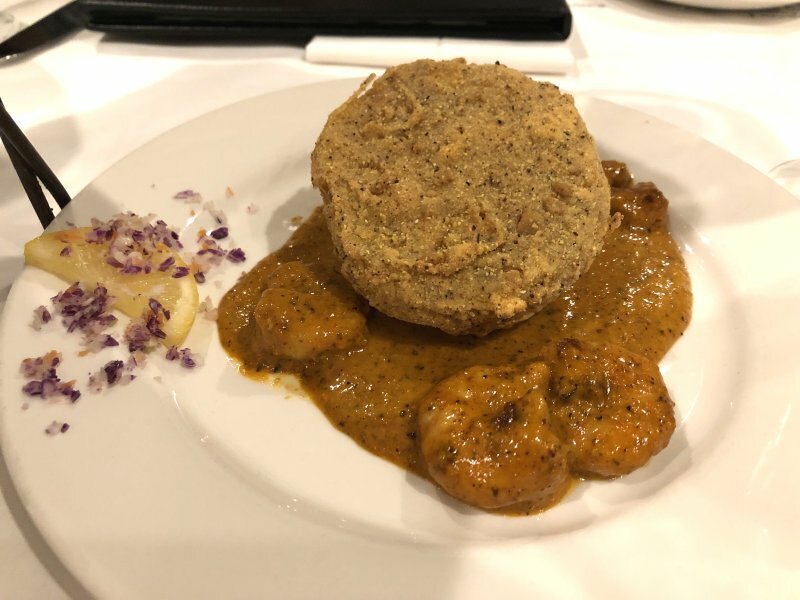 To start, the four of us shared the fried green tomatoes with shrimp chipotle remoulade, the sauce having just the right kick to get your tongue tingling without dominating the dish. K-Paul’s dips the tomatoes in corn meal batter and deep fries them, serving them atop a generous handful of sautéed Louisiana shrimp slathered in that wonderful remoulade. A must-order for me every time I’m here. K-Paul’s made its name in the 1980s with blackened redfish, so much so that demand started to shrink the redfish population in Louisiana’s waters to alarmingly low levels. These days the restaurant offers up the same secret mix of spices and blackening, instead using drum fish. I was tempted to get that, but I also love their beef tenders blackened in a cast iron skillet and served with a hearty debris sauce. 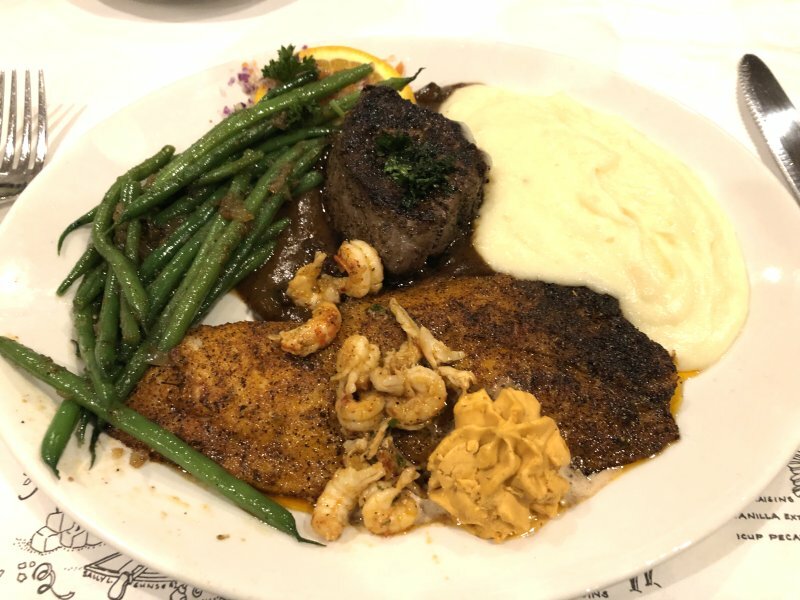 Thankfully that night the place was offering up a regular surf and turf special; a piece of blackened redfish and a filet with debris. Served along with fresh vegetables and mashed potato, it was a heavy but heavenly main course — so filling that I couldn’t even try dessert. Another successful visit, and a guarantee I’ll be back again on my next New Orleans trip.